Braces can be an expensive investment, as a result, its no wonder you want to do all it takes to protect them when participating in sports and activities that can lead to damage. For athletes, especially those that enjoy contact sports such as football, hockey, and basketball, there is a significant chance of your braces being damaged. How do you ensure that your braces, and teeth, are protected at all times? Quite simply, choose a mouthguard designed for braces. Nowadays, manufacturers understand that wearing braces with traditional mouthguards just doesn’t hit the required comfort or protection levels. With a mouthguard designed to be worn with braces, you can have the peace of mind that your teeth and braces are both protected. So, how exactly do I choose the perfect mouthguard to be worn with braces I hear you ask, well here are a few key factors you need to take into consideration. Regardless of what contact sport you take part in, you must be comfortable with everything you wear if you want to guarantee maximum performance. Quite simply this means your mouthguard has to fit you well, which means choosing the correct size for your mouthpiece is key. Any player over the age of 12 should have an adult mouthguard, while those younger than 12 are better suited to a youth mouthguard. Having said this, every person’s mouth structure is different, and you should, therefore, get a mouthguard for braces explicitly designed for the shape and size of your mouth and teeth. It should be tight enough to hold on the teeth; this means that even in the case of an impact, the mouthguard should remain intact without getting dislodged. The device should only be removed by pulling out and not falling out on itself. A great way to ensure the perfect fit for your mouth is to choose a boil and bite mouthguard. Most mouthguards for braces can be fit both on the lower and the upper jaw. However, if you have braces, it is advisable to have an extra layer of protection on the lower teeth to avoid your lips from getting hurt. This is especially required for wrestlers who’re looking for a mouthguard to wear with braces. When fitting the mouthguard for braces, you are required to use dental wax to cover the brackets. You may think you have found a mouthguard that fits perfectly to your teeth, but without including the brackets, it might create a vacuum around the brackets which makes it hard to remove. Creating a barrier when fitting makes the process more manageable, and you can put the guard right over the braces. Every mouthguard is different, and this applies to mouthguards for braces too. Braces, as mentioned earlier, are an investment and the best decision to make is protecting them with a quality mouthguard with the right accessories. As already covered, you can have the device customized to fit your needs which ensures that you are getting a high-performance mouth protector. It could have some personalized technology upgrades, for example, you can have the one that locks the lower jaw in your desired position to prevent chewing. This enhances comfort and flexibility thus maximum performance. More personalization includes getting a logo and your desired color or flavour added to the guard. As the name suggests, it is mouthguards for mouth protection. Although the point above does mention that customization can be a key ingredient of your guard, this shouldn’t come at the detriment of protection. In your case, you will be protecting not only your teeth but your braces too, this means you need something that will do the job as effectively as possible. Putting it mildly, replacement braces can cost a fortune, and it is better to be protected than sorry. You may feel like the mouth protector is an expensive and unnecessary purchase but think of what you are protecting. Getting a custom-made mouthguard can be a wise idea to protect the dental work taking place in your mouth. Knowing you are well safeguarded gives you peace of mind that you can enjoy your favorite sport without worrying about doing any further damage. Getting an over-the-counter mouthguard is not always a good idea. Some types of mouthguards don’t always leave enough space for the braces while others are loose and cannot offer the required protection. Therefore it is sometimes better to have the dentist make a custom device for you that provide a comfort fit. Most people are afraid of this decision fearing that custom-made guards are expensive. The benefit of having your orthodontist do it is because they can evaluate the condition of your teeth and during the adjustment period, the dentist could recommend other alternatives for you to ensure that wearing a mouthguard does not affect the treatment progress. Also, a professional will help you in fitting and re-fitting the mouthguard if need be. The shape of your teeth structure is bound to change during the treatment which will affect the way your mouthguard fits in your mouth. Some services mean you can have a professional help you reshape it time to time whenever your teeth move or shift so it is worth enquiring about this beforehand. If professional treatment isn’t suitable or affordable for you at the moment, don’t fear too much. With the technology and competition within the mouthguard industry, leading manufacturers now offer boil and bite mouthguards that are in some ways on par with what you can expect from a professional alternative. This mouthguard goes undisputed in the list of basketball mouthguards for props. It is made of 100% medical-grade silicone, and you will love its high performance. Shock doctor sports work with the athlete’s interest at heart, and it is a leading sports equipment manufacturer. Designed for both youth and amateurs these mouthpieces fit correctly over the braces offering a snug and comfortable fit. It also has a quick-release helmet tether. The mouthguard will amaze you with its advanced leads regarding performance and protection both to your teeth and braces. This mouth protector provides maximum dental protection for individuals from the age of 11 upwards. It is only 1.6mm thick making it thinner than other conventional sports mouthguards, which ensures comfort and convenience. It allows for smooth talking, breathing and drinking, vital for athletes partaking in fast-paced sports. It is made with Diffusix technology which allows it to distribute any impacted absorbed during contact. SISU is known for its industry-leading mouthguards that are fully customized fit to provide maximum protection in an ultra-slim profile. Quite simply this mouthguard contains no unnecessary bulk while still offering maximum protection. Intense training requires proper protection, and the venum challenger mouthguard is one of the best sports mouthguards for braces, giving you a perfect fit while ensuring that you are safe and every part of your mouth is protected. It has a custom-made design that helps in preventing injuries and enhances better performance. 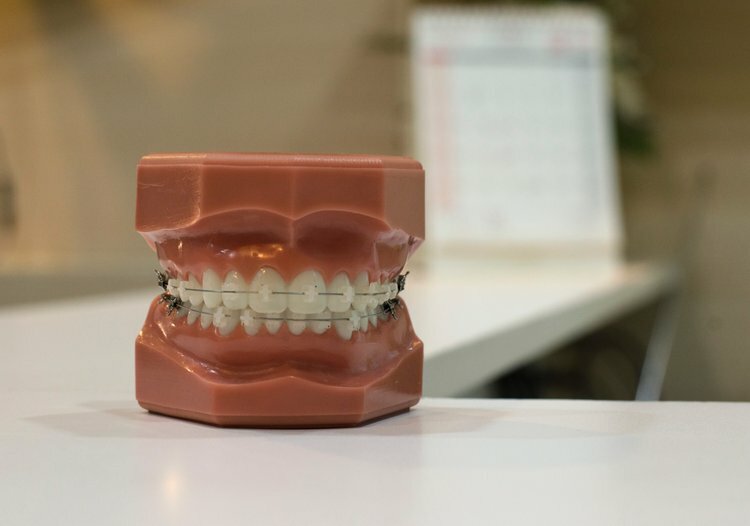 This guard also includes a lower rubber frame that absorbs shock whenever there is an impact from a collision and distributes it to the strongest teeth. It is made with a gel that enhances adjustment for comfort and is easy to talk and breathe with. This guard is made primarily to prevent injuries to your lips, teeth, jaw, gums, and joints. It also comes with a protective case for secure storage and hygiene. These mouthguards include three breathing vents on the front for optimum airflow thus enhancing comfort during the game. They are ideal both for individuals with braces and without and can also be customized by trimming it with scissors if really needed. They provide maximum space for the tongue making it fit comfortably between the bite pads. They are easy to adjust and do not require boiling and biting. This mouthguard is also made from medical resin which can be heated to customize if you wish. It is designed to protect your cheeks from being hurt by the orthodontic appliances such as the retainers, brackets, and wires. Its unique features include 100% medical grade A silicone, ultimate comfort, relaxed breathing and talking channel making it easy to clean, maintain and store. Athletes with braces require proper protection both for the upper and lower teeth. These mouthguards are designed to match both the lower and upper braces brackets for comfort, flexibility, and protection for lacerations. It is made from 100% medical grade silicone and can be heated and customized to fit the changes in the mouth structure during the treatment process. The mouthguard can be found both in strapped and strapless versions and is specially made and marketed by professionals. It is easy to fit before getting to your game and fits well around the brace brackets as well as adapting quickly to the changes or shifts of the teeth position during the treatment progress. The strap model has a quick-release helmet tether and meets the national and high school rules required for braces mouthguards. Choosing the right mouthguard is a crucial life decision and requires critical thinking, this means taking your time to ensure that you do not rush to the wrong decision. A mouthguard for braces can be a little expensive compared to the conventional braces, but it is worth the price. Quite simply, the right mouthguard can help you play your favorite sport without incurring any damage to your mouth, teeth, or braces.